I love salad. 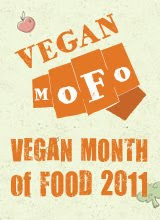 Now, this may come as a shock to you, seeing as I'm vegan and all (wink wink), but I really, really love salad. Anytime I go out to eat at a restaurant, I usually want to order a salad. I get a gleam in my eye and say things like, "I can't wait to have a salad that someone else made for me!" Because, let's face it...making salads can be kind of time-consuming and tedious. I wish I had a never-ending salad bowl in my fridge (kind of like the Olive Garden's never-ending pasta bowl, but...not). But since I don't, I'm usually forced to make my own. For years and years, I made pretty much the same simple salad to accompany my lunch and dinner: some organic greens (baby spinach or baby romaine), some sliced carrots, sliced cucumber, sliced celery, some fresh lemon juice, a squeeze of Bragg Liquid Aminos, and a drizzle of olive oil or flax oil. Sometimes I'd throw some pumpkin seeds or sunflower seeds on there, but most of the time, that was my basic salad. And it was fine, if not a little boring. 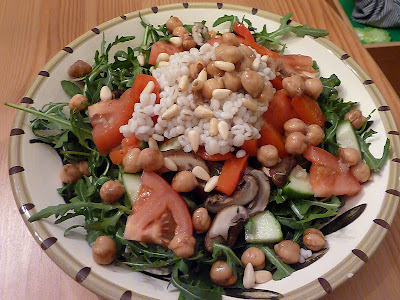 But lately, I've been wanting more and more main-dish-style salads. The problem I've been having is, even though I have a plethora of vegan cookbooks, I have a hard time finding the types of salad recipes I enjoy. 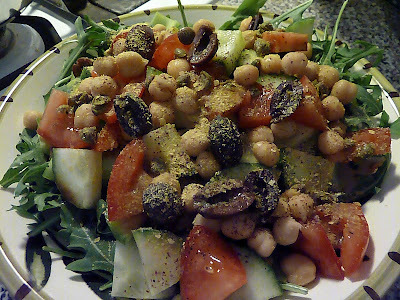 I love salads that are greens-based, with plenty of fresh raw veggies, some protein (beans, tempeh), maybe some cooked grains (millet, quinoa) and a unique dressing to add some flavor. Sounds simple, right? And yet I struggle to find what I'm looking for. So, I've been taking matters into my own hands and experimenting with some new salad combinations. 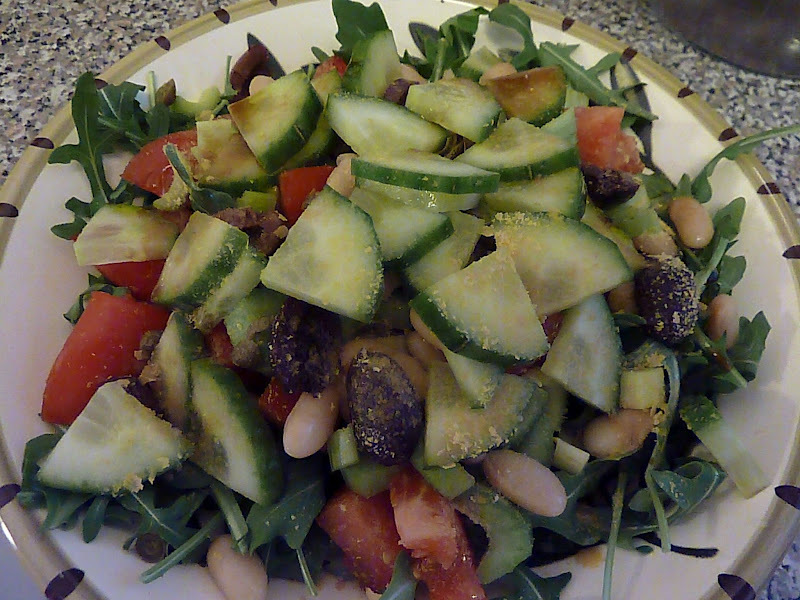 Here's one that showed a lot of promise: baby arugula, sliced cucumbers, tomatoes, celery, cannellini beans, kalamata olives, nooch, and homemade white balsamic dressing. Pretty tasty. However, I knew I could kick it up a notch. I tried again, this time using chickpeas instead of cannellini beans and adding some capers and dulse flakes. Better! This one was a simple little side salad, but it was really easy to make and very delicious. 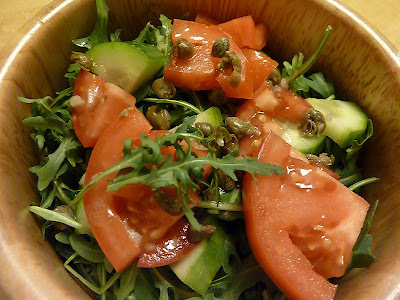 This is baby arugula, chunks of tomato, cucumber, capers, and white balsamic vinaigrette. Yum! 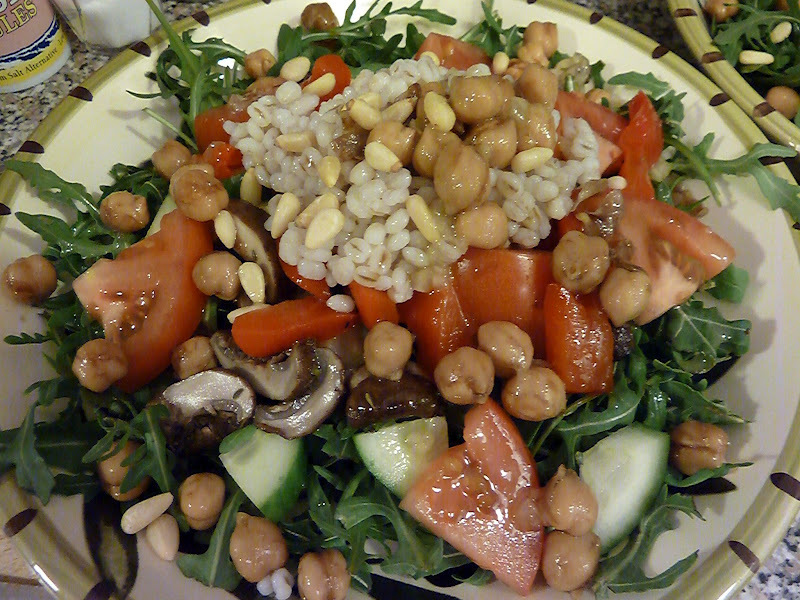 This salad, which I had for dinner last night, could be really fantastic, but it still needs some work. This is baby arugula, chunks of tomato, roasted red pepper, cucumber, roasted mushrooms, cooked barley, marinated chickpeas, pine nuts, and white balsamic vinaigrette. I actually thought the salad needed even more of a flavor punch. Marinating the mushrooms before roasting them would have helped immensely, I'm sure. 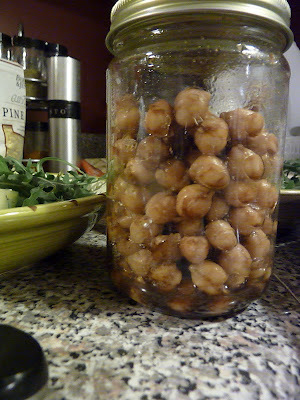 1 can chickpeas, rinsed and patted dry+ 1 tablespoon white balsamic vinegar + 1 tablespoon regular balsamic vinegar + 1 mason jar = yummy marinated chickpeas. Give 'em a good shake every now and then and let them soak in the fridge. It only takes an hour to infuse them with some good flavor. I'm always on the lookout for more good salad recipes/ideas, so if you have any, let me know! Most of my meals end up as salads, since it's easier just to toss together whatever is in the fridge. One of my favorite combos though is roasted beets, chickpeas, romaine, cucumbers, pepitas, tofu feta, and a splash of lemon juice. I love big meal-sized salads too. I am definitely going to try out this marinated chickpea idea - it's such a simple idea, yet I don't think I've ever ran across it before! Hannah, I also love roasted beets on my salad, especially with some cashew goat cheez..mmmm! Great idea. Carrie, let me know what you think of the marinated chickpeas! I really love Rienzi brand canned chickpeas...they are almost as good as fresh-cooked chickpeas. That's what I used here.